It’s Mega Swagbucks Day – Start out with 60 Swagbucks for Joining Today! 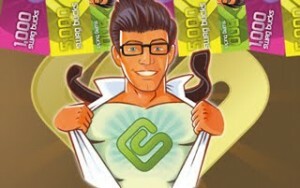 If you’re not using Swagbucks for your search engine, Start Earning Today. Use this code, JoinIn2010 to get 60 Swagbucks added to your account.